A Turtle Dove. Photo by David Tipling. Thirty-three MEPs from 10 EU countries have added their names to a letter requesting an urgent meeting with European Commissioner for the Environment, Janez Potočnik, to discuss the spring hunting of birds in Malta. Birdlife Malta said Malta is currently the only European Union country to have a recreational spring hunting season thanks to a derogation (exception) of the Birds Directive, which normally protects migratory birds from being hunted during this crucial stage of their life cycle. "Such derogations have been applied in their current form on Malta since 2010 and the meeting is being requested because MEPs consider that the European Commission is not doing enough to stop Malta from breaking EU rules, by systematically failing to apply the derogation correctly," the society said. 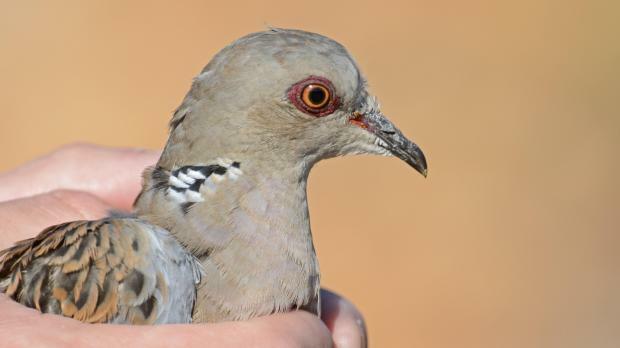 Steve Micklewright, Executive Director of BirdLife Malta said the birds that are targeted by Maltese hunters in spring, turtle dove and quail, are in serious decline where they breed in mainland Europe. The Malta government is expected to announce the dates of the 2014 spring hunting season in the next few days and it is likely that they will again allow about 10,000 hunters to shoot turtle dove and quail for three weeks, Birdlife said. "After the removal of control measures and licence restrictions, the hunting season in 2013 was so out of control that the government called in the army to assist the police," it added.